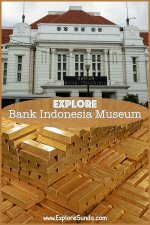 Bandung shopping guide provides information you need to find malls in Bandung. 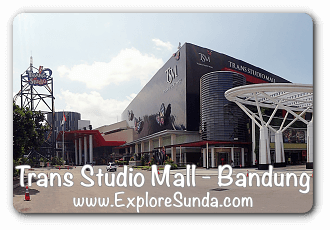 Bandung shopping guide will start at Trans Studio Mall (TSM), the largest mall in Bandung. The location is on Gatot Subroto street. Initially, the name of this mall was Bandung Super Mall (BSM). It changed its name when it introduced Trans Studio complex, where Trans Studio Mall, Trans Studio Bandung, and the 2 hotels: Ibis Bandung Hotel and Trans Luxury Hotel are integrated. Trans Studio Mall is built as an entertainment center in Bandung, meaning everyone can have fun here, either shopping, hangout, watch movies in cinemas, or play in the indoor theme park. You can go shopping at Metro department store or in more than 200 specialty stores, many carry international branded items. If you want to hang out with friends, you can spend some time in the coffee shops, such as Starbucks or Coffee Beans, or have lunch or dinner in the restaurants that are scattered in this mall. However, most of the restaurants and the food court now is located at the second floor, near the entrance to Trans Studio Bandung, cinemas and convention center. Trans Studio Bandung Theme Park is the second indoor theme park in Indonesia. It offers 20 rides, all are indoor. They are divided into 3 zones: Studio Central, Lost City and Magic Corner. With all of Trans Studio Mall offers, no wonder the traffic is very heavy during weekends, especially long weekends and school holidays. Therefore, I recommend to come early (the mall opens at 10am), or stay at one of the two hotels if you plan to stay overnight in Bandung. 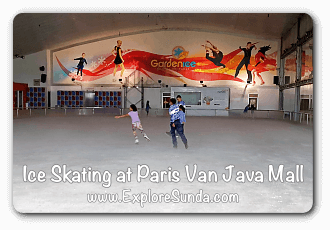 Bandung Shopping Guide continues to another good place to hangout in Bandung: Paris Van Java Mall. The location of PVJ is on Sukajadi street, exit at Pasteur if you use the toll road. PVJ is a 4 storey mall, but half of it is underground. Most of the restaurants and cafes are located in the front yard, hence, you can enjoy the open air. Therefore, it’s better you come here on late afternoon until evening when the sun is not so intense and the cool winds blow. What if you arrive here in the hot afternoon? Well, there are still many things we can do here. Playing ice skating during hot afternoon will be very tempting, the location is on the first floor. We also can watch movies at the cinemas. Or, we can go shopping at Sogo department store or many specialty shops, selling from clothes to glasses, household wares to gadgets, many are branded items. We also can shop at Carrefour supermarket or buy books at Gramedia book store. Personally, I don’t really like walking around in this mall, since most of the floors are below the ground level. The ground level itself is nice, the corridors are covered with transparent roof, hence, there are lots of open air during daylight, a bit too warm though and too dark after sunset. The first level is on the rooftop of this mall. It is the location of the one and only ice skating rink in Bandung. Therefore, it is crowded during weekends and school holiday, especially in the afternoon. It's better to come early (it opens at 10AM). If you need a coach, they start at 11AM. We also can find miniature farm and birdpark in this first floor. Children will have fun in the miniature farm, where they can feed goats, young cows, sheep and rabbits. They also can feed various birds in the miniature birdpark in front of the ice rink. 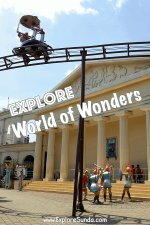 Unfortunately, the ticket price for each of these attractions is quite expensive. Nevertheless, people do enjoy relaxing in this mall. The traffic near this mall is always jammed during weekends, not to mention the difficulties to get a parking lot. The next in the list for Bandung shopping mall is Istana Plaza. This mall is smaller than the first two malls I described above, but it really has good atmosphere with great lighting, which makes us feel cozy and relax. The location is in the corner of Pajajaran and Pasirkaliki street, which is in the heart of Bandung, near Husein Sastranegara airport as well as Bandung railway station. Unfortunately, the parking lot is limited, therefore, I prefer to come here during weekdays. The concept of Istana Plaza is one stop family shopping mall. We will find Matahari department store, Gramedia book stores, Electronic Solution and Giant supermarket here. In addition there are many specialty stores such as boutiques, jewelry stores, toys, etc. Your children will love to play in the game arcade named Game Master. It has two locations, in the highest floor and in the first floor for young children. There are many restaurants here as well as a food court with various style: Chinese, Japanese, Western, and Sundanese foods, from international franchise such as Mc Donald, Pizza Hut, Baskin Robbins to the local cuisines are all here. Bandung shopping guide notices there are two new malls opens in 2017. One is Living Plaza, located right across Istana Plaza, in the corner of Pajajaran and Pasir Kaliki Street. Since it belongs to Kawan Lama Group, the main tenants are ACE Hardware, Informa, and Toys Kingdom. In addition, we can dine in the many restaurants here. 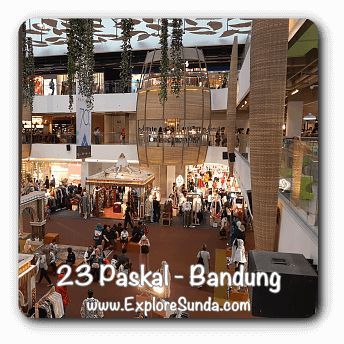 Another new mall in Bandung is 23 Paskal. This mall is a 3 stories building packed with varieties of stores (from adult and children clothing, bags, shoes, baby stores, toys, etc), restaurants, food court and food kiosks (from western, to various Asian cuisines such as Chinese, Japanese, Koreans, Thais and Indonesian), games (Game Master, Miniapolis, and Amped Trampoline), and cgv cinema. It means entertainment for the whole family! The location is at Cihampelas street, the most famous Bandung shopping for jeans clothing and apparels and the gate to this mall is right in the heart of this street. However, since most of the mall area is behind other stores, we will not feel the traffic jam and hectic of the street outside Ciwalk area. In my opinion the concept of this mall is to have fun and hangout in the park, where the main building is not so big, but surrounded by trees and pedestrian walks as well as lots of benches to relax in the park. Therefore, many cafes have open air areas facing the pedestrian walk, make them a cozy place for hangout. There are 150 tenants in this mall consist of stores, cafes, restaurant, game center, karaoke, cinemas, playground and a food court. Another unique characteristic of Ciwalk you can not find in other malls in Bandung is that it allows you to bring your pet in the park as well as inside the mall. The next mall in Bandung shopping guide is to go to the first mall in Bandung: Bandung Indah Plaza. The location is right in the heart of the city, at the busy Merdeka street. This mall is connected to Aryaduta hotel, one of the five star hotels in this city. This mall wants to approach youth market, the students from nearby universities. It has approximately 200 tenants, including Matahari department store and Hypermart supermarket, as well as many specialty stores. In addition, you can entertain yourself by watching movies in cinemas or play game in the game arcade here. Presently, Bandung shopping malls are scatterred all over the city. 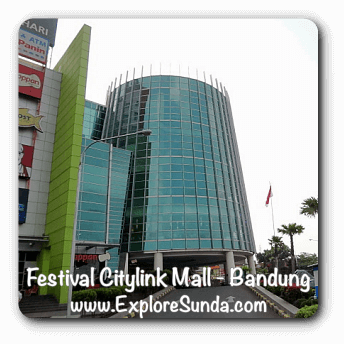 One of them is Festival Citylink, targeting people who live in western part of Bandung. The location of this mall is at Peta street. The anchor tenants of this mall are Matahari department store, Gramedia book store and Lotte supermarket. ACE hardware and Toys Kingdom also opened their stores here. This mall has many specialty shops on fashion and apparels as well as gadgets. In addition, it has many restaurants, bakeries and a food court we can choose. Children can have fun at the game arcade or even take a ride on miniature train circling the mall. Festival Citylink is connected to two hotels: Harris and Pop hotel. The location is convenient for us who want to explore the southern and western part of Bandung. Bandung shopping guide also provides you with a list of various types of shopping centers, in the form of malls, trade centers and shopping center. Let's start with the biggest department store in the land of Sunda: Yogya Department Store. 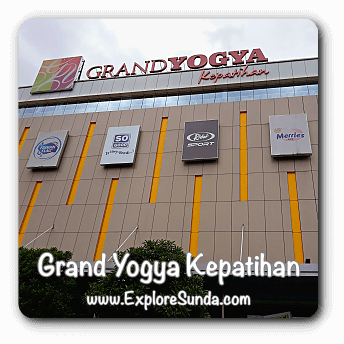 Yogya is the biggest chain department store in the land of Sunda. 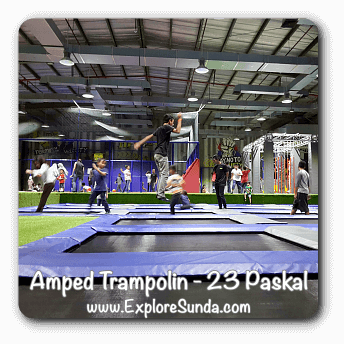 It started in Bandung and now has expanded to many towns, mainly in West Java. There are three main stores in Bandung: the first store at Sunda street, the largest one in the corner of Kepatihan and Dewi Sartika street, and Riau Junction in the corner of LLRE Martadinata (also known as Riau) and Trunojoyo street. They are one of a kind since it's different from going to the mall where there are many stores and restaurants in one building, while here there is only one store for the whole building! Each store sell fashion products such as clothes, apparel, and cosmetics, carrying local, national, and international brands. Their supermarket is usually on the top floor. Tired of shopping? We can dine in the foodcourt and children can play in the games arcade, both are located on the top floor. We even can find Yogya Department Store in big malls such as Cihampelas Walk. Yogya also owns Griya, the smaller version of Yogya, emphasizes more on the supermarket and Yomart, the mini market. So, when you go sightseeing in Bandung, you will see them everywhere. Bandung shopping guide continues to the Fashion Mall of Bandung Trade Center. The location of BTC is at Dr. Djundjunan street, the popular name of this area is Pasteur. It is near the entrance to Pasteur toll gate. 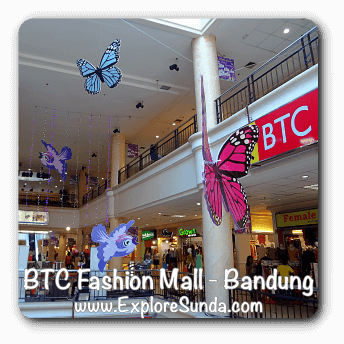 The theme of Bandung Trade Center is Fashion Mall. Hence, BTC is full with small shops selling everything related to fashions, such as clothes, especially women and kids clothes, bags, and accesorries. Most of them are not branded. The price and product quality is standard. In addition to the fashion shops, there are several restaurants, a food court, a supermarket, book stores, a game arcade, paid playground and and BTC is connected to a hotel. What is really interesting is that I found a music sheet store here, which is a bit difficult to find in Bandung. Bandung Electronic Center (BEC) at Purnawarman street. Istana Building Commodities Center (IBCC) at Ahmad Yani street, specializing on building materials and computers with Informa home furnishing, Ace Hardware and Bandung Computer Xenter as the major tenants in the main building. There are many small shops selling building materials in front of the main building. King's Shopping Centre. It is the Bandung shopping centre prior to the mall era in Bandung. Several years ago it was expanded across Kepatihan street, connected with a bridge. Unfortunately, the old building were burnt down last year. Now, they are building a new mall on that location. But, the other half is still open, where we can find Matahari department store and some of the vendors selling clothes, bags, perfume, etc. The fabric (textile) vendors were temporarily moved to the parking lot. It is in the same building but we must use the elevator to reach them. They sell many types of fabric for party dresses, men and women formal suits, or cotton for bed sheets. Some sellers also provide tailor service. I believe they are all distinct malls and shopping centers in Bandung. I will keep updating this page since Bandung is a growing city where it keep adding new shopping malls and renovating the existing ones. 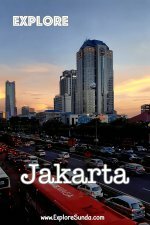 I hope this Bandung shopping guide helps you decide your next destination for shopping and hangout in malls. Factory Outlets - As a pioneer in launching factory outlet type of stores, there are a lot of factory outlets scattered all over Bandung. Pasar Baru - You will find a different level of shopping in Pasar Baru, since it is the most well known wholesale market for clothes, fabrics and apparels in Bandung. Souvenir shops for hunting souvenirs that are uniquely Sunda. Snack shops for buying Bandung's popular snacks such as tempe and oncom chips, pisang bolen (rolled banana) and brownies.